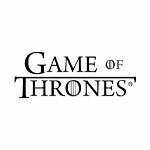 We recently sent out a survey to our customers to understand the current state of men’s grooming. One of the biggest factors was what tools men use to shave and there was an obvious divide between cartridge razors and electric shavers. We delved into the results to understand the common similarities between routines, and what difference swapping your grooming tool could make to your every day shave. All percentages and results are based upon results from Shavers’ Grooming Survey 2017. 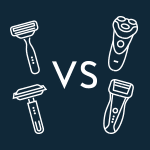 60% of men shaving with cartridge razors are using up to 4 shaving products daily and over half are averagely spending a staggering £10 - £20 per month (on products) which averages £180 a year. When you consider a standard razor body is £10 and if you’re changing the cartridge every week as advised, you’re looking at roughly £140 a year on cartridges alone. Although they’re cheap to buy on the run and a convenient purchase with your weekly shop, overall, it’s costing more than you likely realise. 70% of men using electric shavers are using up to 4 shaving products daily. The rest just use traditional soap and water. Overall, 58% are spending under £10 per month on shaving products. Electric shavers can range from £50 to £300 depending on quality and features. Feature advancements have trickled down to the less expensive ranges and all of the major brands have really good options, at all price points. It’s important to consider the need to replace dull or worn out cutting heads, but they should easily last 18-24 months (as long as they’re well maintained). Economically, an electric shaver is a good investment in the long term and you don’t necessarily need a top of the range electric shaver to get great results. 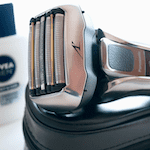 Discover the best selling electric shavers to suit your budget. 52% of Shavers customers spend 10-20 minutes on their grooming routine daily. Extra time is taken shaving with a cartridge razor due to lathering and the continual need to rinse the blade after each stroke. This dulls the blade quickly and it’s common for men to need to change their cartridge blade more than once a week. It’s a time-consuming process and can often cause skin irritation, that adds to the overall time of a grooming routine. If you’re new to shaving, then traditional shaving with a cartridge razor can be a steep learning curve. Hairs on the face grow in a different direction and you have to follow the grain to achieve a close but comfortable shave. One of the standout reasons Shavers customers turned to electric shavers was because of convenience and speed. Most brands have a wet and/or dry option available. That means it doesn’t need to be a lengthy process. Unless you opt for a wet shave, there is no need for lathering or as much prep work (you should still consider pre-shave oils or balm). Electric shavers can be rinsed under cold water or put in an automated cleaning and charging station post-shave. If you find your grooming routine a chore, as well as it is time-consuming, then electric shavers are renowned for shaving hair away faster. You don’t necessarily need to go with the grain either and that saves time in front of the mirror. Read more about how to save time on your grooming routine. Cartridge razors are sharp to begin with but dull quickly. That means you’ll end up over-working areas where the hair is being missed and cause irritation to the skin. However, cartridge razors do often achieve the closest possible shave with the blade directly against the skin. 75% of men using a cartridge razor found that they sometimes or always suffer from razor burn after a shave. The results also showed that men using a cartridge razor were having to buy post-shave products that are moisturising and for sensitive skin, which is likely in an attempt to combat the razor burn. Leaving the cartridge razor in steamy environments can cause bacteria to grow and the blade to rust, too. 71% of Shavers customers shave every day (who prefer to be clean shaven) with an electric shaver. That means the skin is constantly faced with a foil or rotary blade. Electric shavers are known for reducing skin irritation, cuts and ingrown hairs. Initial uses of an electric shaver can cause some skin irritation until you’ve gotten the hang of using one and perfected your technique. Only 11% of Shavers customers said they always suffer from razor burn. Our survey showed that 53% of men don’t suffer from razor burn or irritation using an electric shaver. It’s not necessary to go with the grain when it comes to electric shavers, you can go against it just fine with no discomfort. In fact, against the grain is where the closest finish can be achieved. An electric shaver will provide a close shave but not quite as close as a cartridge razor. 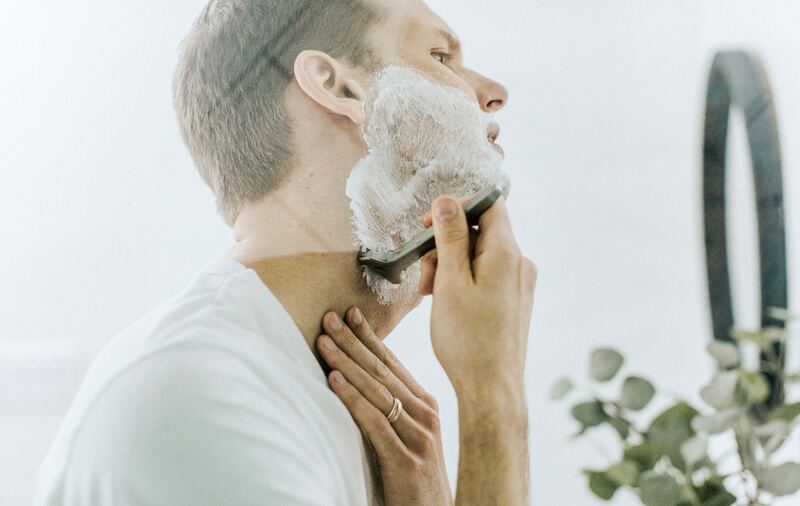 That’s not to say you will have visible stubble after a shave, although with an electric shaver, you’re more likely to feel some roughness by the evening following a morning shave, whereas with a wet blade this will take slightly longer to occur. A good rinse under the tap will clean the blades but they may need to be oiled to keep them in shape too. There are quite a lot of brands on the market that either come with a cleaning system or one can be purchased alongside the shaver. 91% of those using an electric shaver prefer to be clean shaven, with 72% choosing foil over rotary. We took a look at the differences between rotary and foil to understand the key differences. You should be changing your cartridge weekly as the blade dulls quickly. We’d also recommend using a different blade for other areas of the body that aren’t your face. Cartridges can be rinsed under the tap with clean, cold water but due to using products that lather; detritus and the leftover product can often stay on the blade. Many electric shavers can be rinsed under the tap with clean, cold water too. Certain models also include a charging and cleaning station that automatically cleans and lubricates the blades for you. As long as you look after your electric shaver, you won’t have to purchase replacement blades often - usually only once every 18-24 months. If the electric shaver came with a cleaning system, you’ll typically need to buy cleaning refills every 2 - 3 months. Read more about prolonging the life of your electric shaver. Read more about self-cleaning vs manual cleaning electric shavers. If you’re considering taking the leap from your current cartridge razor to an electric shaver instead, take a look at our guide to choosing the perfect electric shaver for you. When you’re ready to start deciding on brand and model - we’ve ranked and rated the best electric shavers on the market.